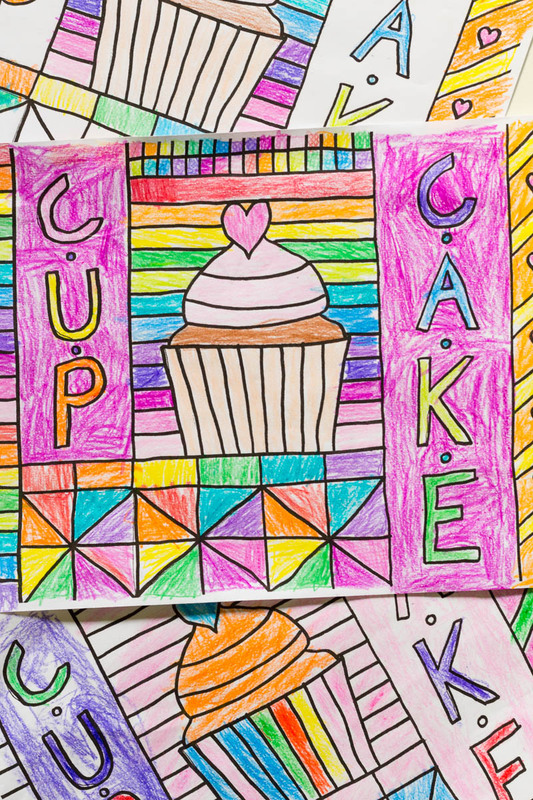 Learn how to draw your own cupcake coloring sheet in this fun food-themed tutorial, then print your own copies to color and enjoy! It’s back to school time! I would swear that August comes earlier every year. Is that possible? I don’t know about your kids, but mine seem to acquire plenty of energy at the end of summer and the beginning of the school year. Sometimes it’s a challenge to keep them happily occupied. To head off the chorus of “I’m bored!” requires a little creative thinking. And in this case, the activity I have in mind can actually be as relaxing for you as it is fun for them. The act of drawing helps me focus my mind quietly on a simple task. I am not a great artist by any means, but I can draw enough of a straight line to make simple shapes and geometric designs. 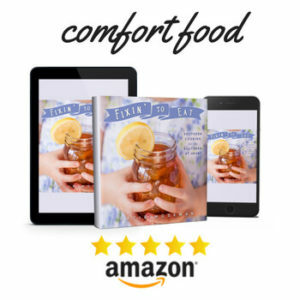 I don’t put any pressure on myself to make it look perfect, and neither should you! 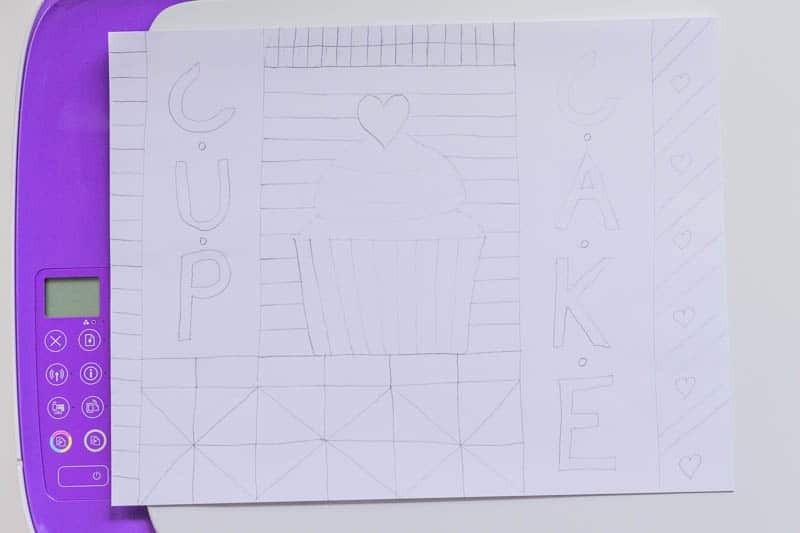 This tutorial demonstrates how I make a cupcake coloring sheet, but the same principles can be applied to making a coloring sheet for any object. A printer is essential for this project. 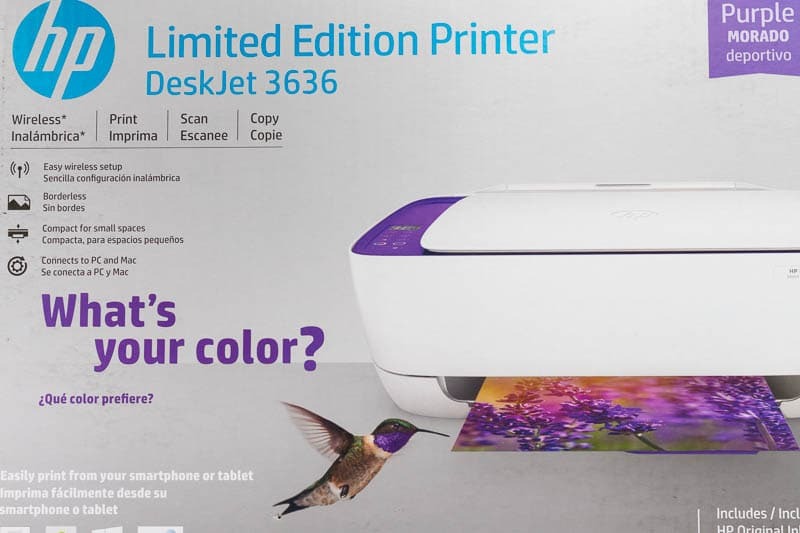 I’m working with an HP Deskjet 3636, which is an all new printer found at Walmart. 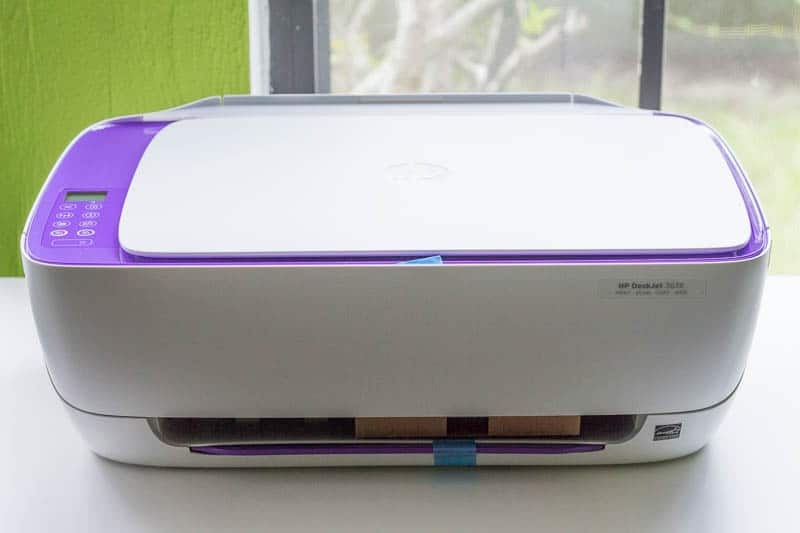 This affordable all-in-one printer with a cute space-saving design fits perfectly into my home. You can choose from Vibrant Red, Dragonfly Blue, or Sporty Purple. Purple is very popular with my daughters, so I chose with Sporty Purple. 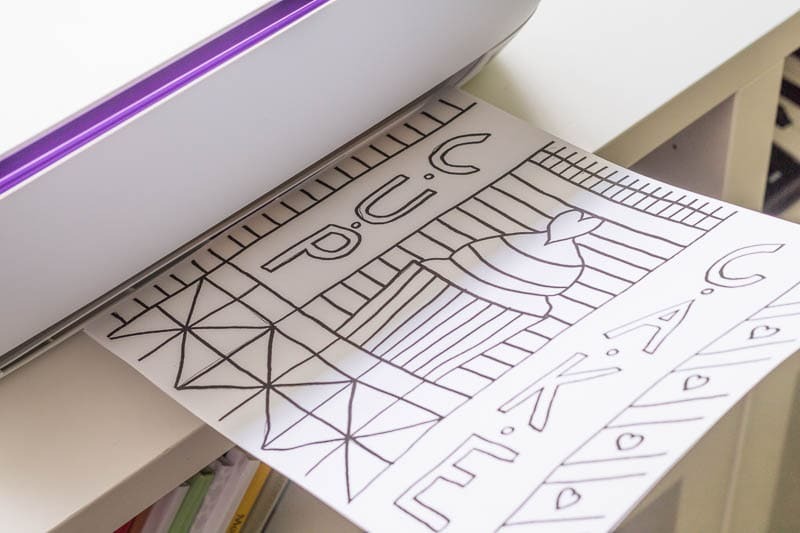 Notice that the simple control icons are located within easy reach, right on top of the printer within the purple-colored section. 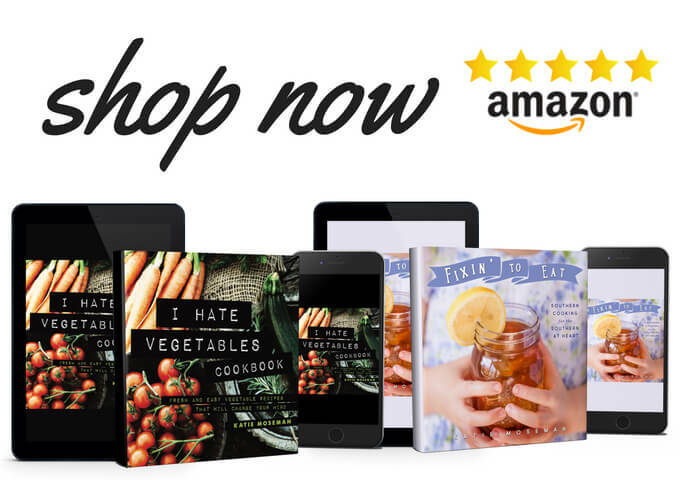 It’s so easy to set up and starting printing, scanning, and copying right out of the box. With this kind of high-quality printing at your fingertips, you’ll be prepared for all your back to school needs. 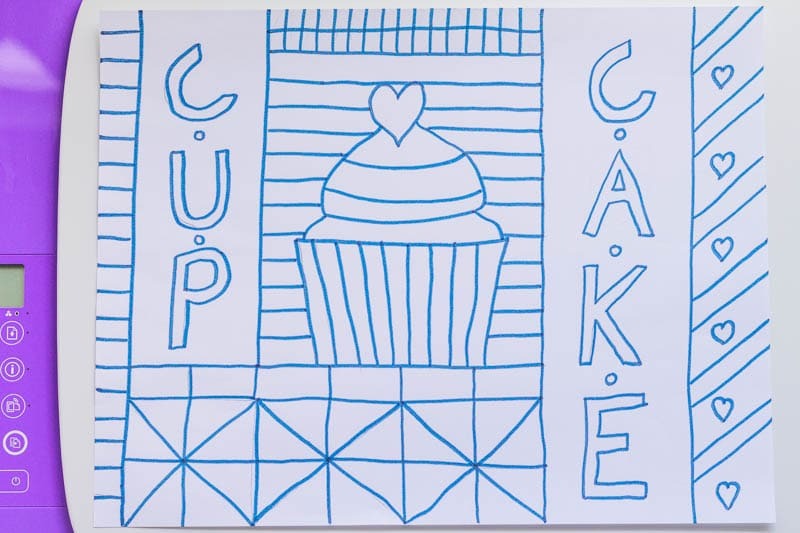 Using a pencil, draw a simple cupcake on a plain sheet of printer paper. 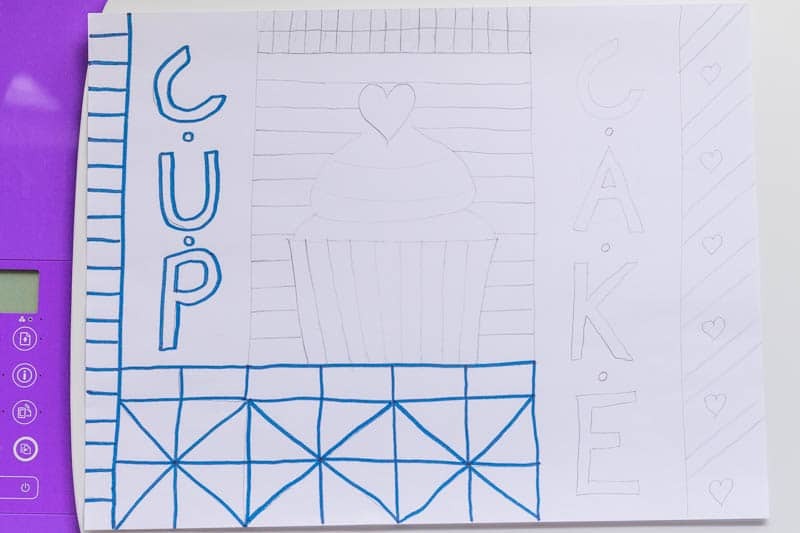 Draw letters to spell out the word “cupcake.” Then, fill in the rest of the space with simple geometric shapes, like lines, grids, triangles, etc. Clean up any stray marks with your eraser. Place the drawing face down in your printer. Make as many copies as desired. If you would like to save your drawing for future printing, scan the drawing to save as a file. Color and enjoy! 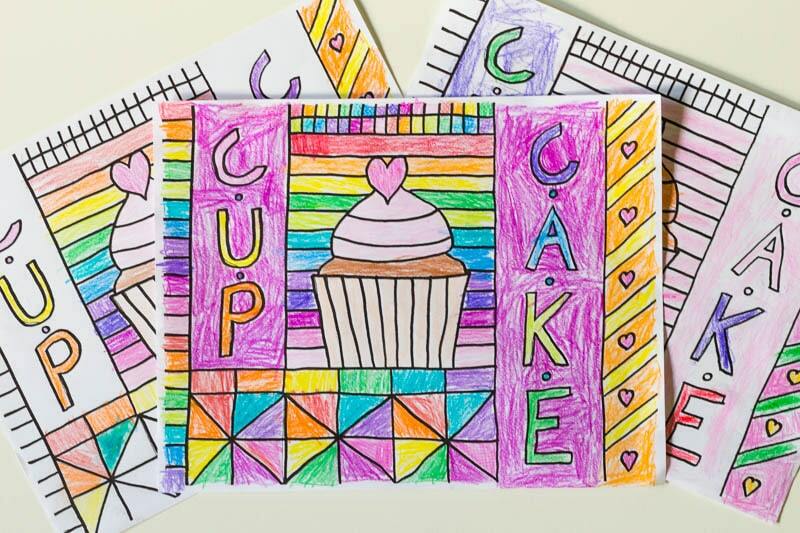 If you’d like to skip the drawing process, you can download and use the printable Cupcake Coloring Sheet featured in this post. 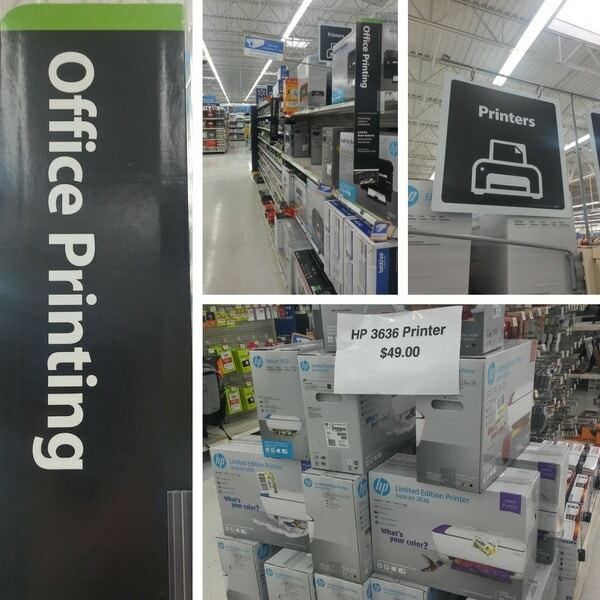 You’ll find the new HP3636 Printer in the electronics department of Walmart, on the printer aisle. Get more great back-to-school ideas from HP! Your cupcake coloring sheet is adorable and I’m loving the color of that printer. I can’t draw very well at all, but I do believe I can make a coloring sheet using your tutorial. The kids will be impressed. It’s amazing what we can do nowadays with computers! Could be fun to put one of these off as a coloring sheet. My kiddos would love it. That’s so fun and easy! We love coloring in our house and who doesn’t like cupcakes?? Very neat idea! This Is A Great Idea For My Girls I Just Printed It Out It Will Keep Them Busy For A While Love It!! This is such a fun project. My girls love coloring, so this is a project we have to try! 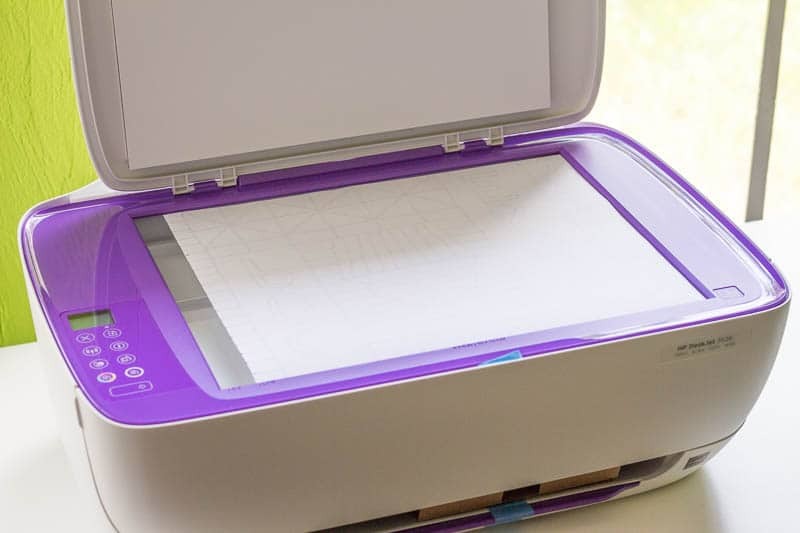 It sounds like this printer is really a wonderful addition to your home, too! I have never made a coloring sheet on my own before. You make it look so easy! I might have to try this. What a cute idea. I’m not into coloring but this would be great for my daughter. Love that printer too! This is such a great use of that printer. How fun! You’ll be able to make tons of cute coloring sheets this way. I am digging the purple, I haven’t seen those colors. This is a good idea for making activity sheets. What a super easy way to make a coloring sheet. I love the idea of making your own coloring sheets at home, will have to give this a try sometime soon! This is so freaking cool. My daughter would draw up so many freaking things we would be printing all day and all night. lol This would be nice to have when having a birthday party for the kids. My grand daughter would love this! She is a budding artist and works well with crayons and pens. The HP printer did a great job and I can’t believe it is so affordable! Omg what a cute coloring sheet!!!! My daughter would love this. So printing this out for her!!! Adults are fond of coloring too , to release their stress. This printer is a win-win for the whole family. 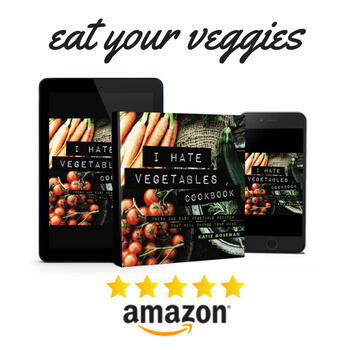 Fun and at the same time educational for kids. The cupcake design is cute and very creative. This is so cute. I have never thought to make my own coloring sheets like this before. Great idea. I am seriously loving your printer! That purple is gorgeous!!! Well, you just know I love this!!! This is such a cute idea! I love that you can make your own; they’re awesome to have around for when the kids’ friends are over too!